Don’t know what Windows 10 Media Creation Tool is? Or where to download it, as well as how to use this handy tool from Microsoft? Since Microsoft released Windows 10, one hundred million users have downloaded and installed (or upgraded) their computers and this is still increasing day over day. It comes with some almost new and unique design and impressive features which attracts a lot of users. Released in June 2015, Microsoft allowed users to upgrade from Windows 7, Windows 8 or 8.1 to Windows 10 for free within the first year. Till now, this free upgrade program has been expired for almost a year. So officially, you can’t take this free upgrade anymore. That said, you will see a message, which said the free upgrade has ended. In theory, the only way you can upgrade your computer to Windows 10 operating system is to pay for it. Fortunately, Microsoft still allows users who are using Assistive Technologies to upgrade to Windows 10 for free. Besides, many users reported they are still able to take the Windows 10 free upgrade by downloading the Windows 10 Media Creation tool and upgrade manually. 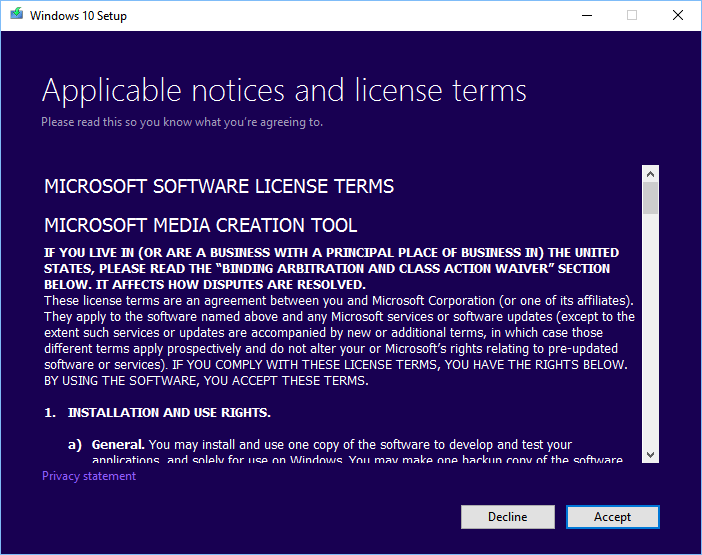 In this article, I’m going to instruct you on how to download and use the Windows 10 Media Creation tool to help you install or reinstall Windows 10, as well as repair or resolve issues in this latest operating system. The Media Creation Tool will allow you to download the installation file and save it to your computer as an ISO file, or create a bootable USB flash drive automatically. 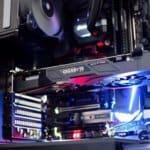 Therefore, you can use this tool to upgrade your computer to Windows 10 or create installation media for another computer. The best point is that you don’t need to have a valid license to download the Windows 10 installation file. Furthermore, you can use this tool to download and install major updates in Windows 10, such as the Creators Update. Where can I download the Windows 10 Media Creation Tool? You can download the Windows 10 Media Creation Tool directly from Microsoft’s website by clicking on the button below. The size of this tool is about 17 MB and can be run directly without installing. So, you only need to download and then run to use. How To Use the Windows 10 Media Creation Tool? All the instructions are simple, easy to understand and follow. You just need to run the tool and then choose the required option, and then let the Media Creation Tool do the rest for you. 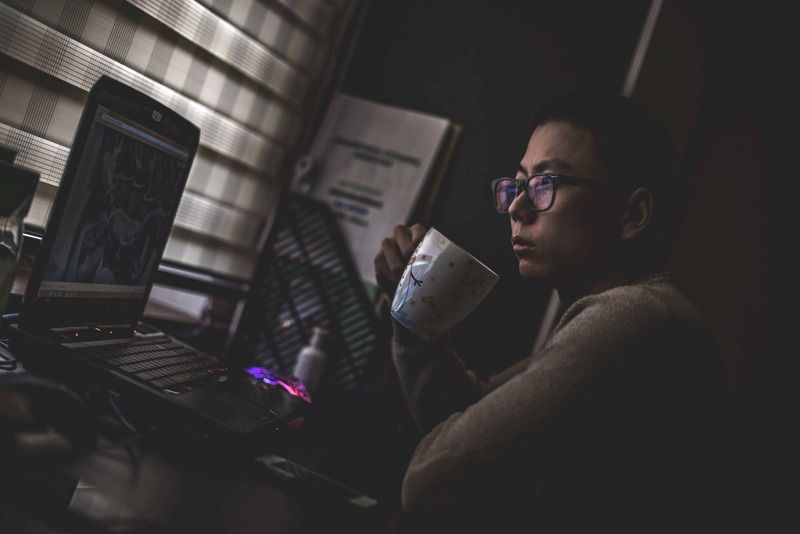 Depending on the speed of your Internet connection, this process could take hours to download the installation file as it’s large. In the first screen, if you want to upgrade your current Windows 7, Windows 8, or 8.1 PC to Windows 10, then choose the “Upgrade this PC now” option. Otherwise, select the “Create installation media (USB flash drive, DVD, or ISO file) for another PC” option to use for another computer. If you have a slow Internet connection, I would suggest using this option for upgrading your current PC to avoid any corruption when downloading. 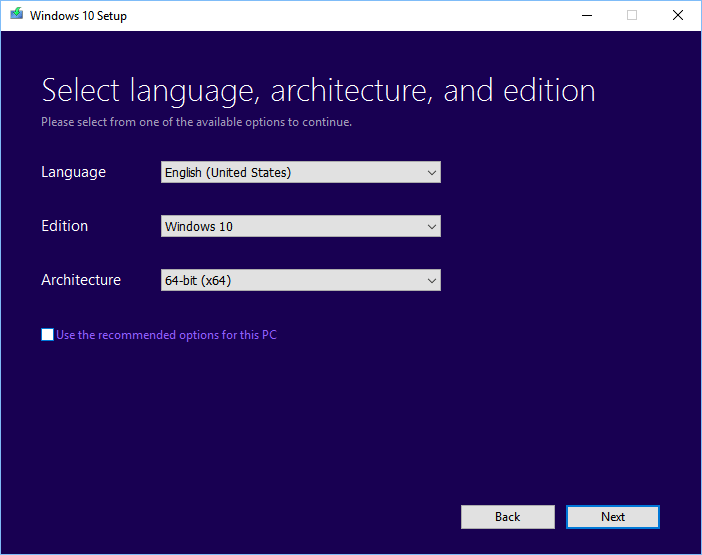 In the next step, you can select the Language, Edition, and Architecture of Windows 10 that you would like to download. 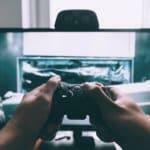 Subsequently, you can choose to create a Windows 10 bootable USB flash drive or just download the ISO file and store on your computer. To use the first option, you need to have a USB flash drive with at least 4GB of storage. I would recommend using an 8GB USB flash drive to avoid errors due to out of storage space. This option will help you download the Windows 10 installation file, store it on your USB flash drive and make it bootable. As a result, you can use this USB flash drive to upgrade your PC to Windows 10, boot into Windows 10 Safe Mode or access the Troubleshoot section to repair or fix errors, and much more. The second option is to download the Windows 10 installation file and store on your computer to use later. After that, if you want to use it, you can burn it to a DVD or make a bootable USB flash drive with Rufus. 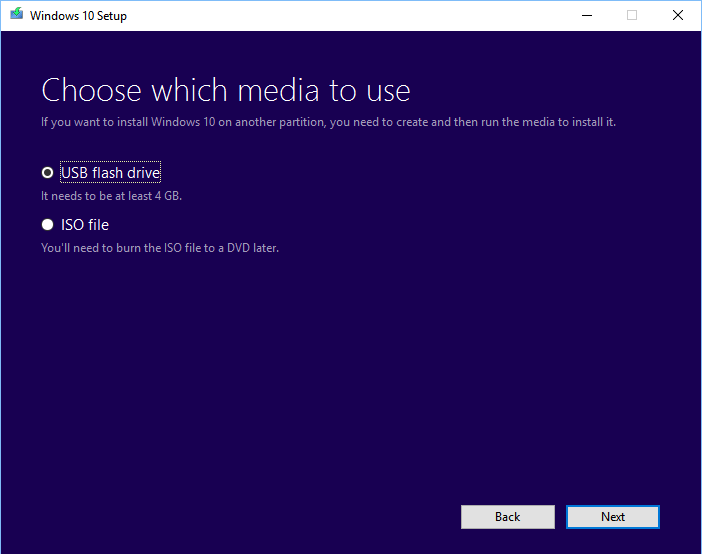 The Windows 10 Media Creation Tool is a handy application that helps users to download Windows 10, and then install, reinstall or upgrade their computer more quickly and simpler. I would recommend using this official tool, which is provided by Microsoft to download the Windows 10 installation file instead of looking for Windows 10 ISO files out there on the Internet. It’s risky as you don’t know what are inside those files.